Oats are considered to be one of the healthiest foods. 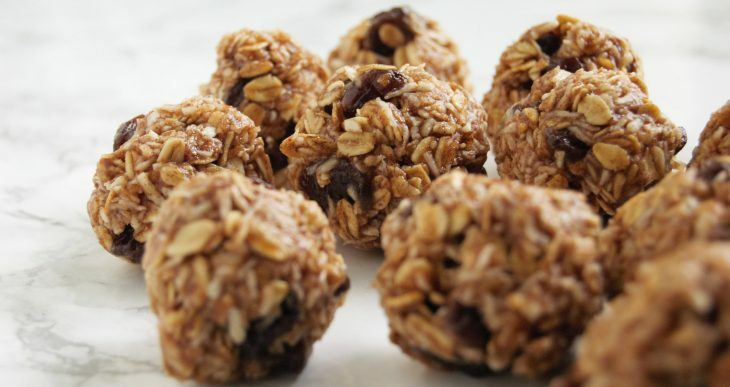 We present you an easy recipe for delicious oat dessert. It will help you to sate your hunger without excess calories. You can also add 1-2 tbsp hot water, if necessary, for flakes soak. Prepare it in the evening, cover with food membrane and leave in refrigerator. For serving dip in chocolate, decorate with seeds, coconut flakes or crushed walnuts.